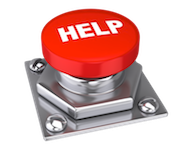 24/7 Emergency Local Locksmiths in Tri-Cities, WA. Tri-Cities Locksmith Pros, 24/7 Service. 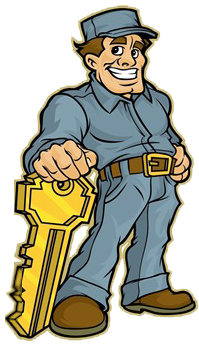 Locksmith Pros is a 24 hour local locksmith company. If you're locked out of your car, house or business just give us a call and we will be at your location within 10-20 minutes to unlock any door, day or night. When you call Locksmith Pros you're getting service from a locally owned company and that's why we can respond to any call in a matter of minutes. Our technicians are fully licensed, bonded, insured and highly skilled so you can rest assured that for any call, whether it's for car, home or business you will get a quick & professional service at an affordable price 24 hours a day. Fast Emergency Locksmith Service 24 Hours A Day. Tri-Cities Locksmith Pros has built its reputation for fast and reliable mobile locksmith service. Our technicians provide quality mobile services in the Kennewick-Pasco-Richland area. State of the art equipment at consumer friendly prices is one of the reasons we retain our large customer circle.We Specialize in lock and key services such as; lock change, re-key, lock repair & install, lockouts, emergency mobile locksmith services and much more. Need to change a lock for extra security? Our Tri-Cities Locksmith can help you with that. You can switch your deadbolt lock from having a thumb latch inside to have keyed latches on both sides. Although the thumb latch may seem more convenient, you may want double sided deadbolt lock if you have a large window on your door or on the sides of the door. Locks changed, locks rekeyed or repair, our Tri-Cities locksmiths do it all and will be happy to serve you 24 hours a day. Locksmith Pros was established to provide our customers a professional, affordable and reliable locksmith service in Tri Cities, WA area. We’re here for everything from being locked out of your property, or lost keys, to the installation of deadlocks, lock-sets, window locks, restricted master key systems, keyless entry digital keypad locks, access control systems, lock repairs, rekeying of existing locks to new keys. In the event of a child locked into a vehicle. call Locksmith Pros and we will promptly arrive to unlock your car door free of charge!